Six years after conflict broke out in Syria, the country remains in a state of violence and turmoil. 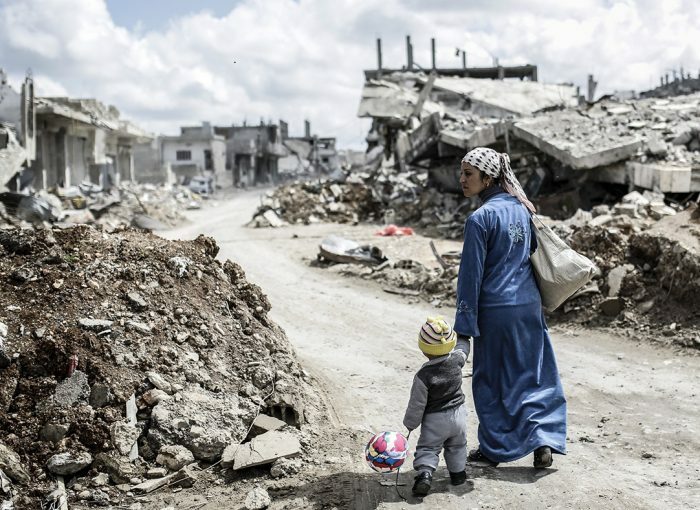 Half a million civilians have been killed and many more have lost their lives as a result of the indirect consequences of the war, including a lack of access to adequate healthcare. Estimates of the number of Syrians who have died as a result of poor health services range from 70,000 to 300,000. Attacks on medical facilities and personnel have had a devastating impact on healthcare provisions. The World Health Organisation believes that more than three-fifths of medical workers have fled the conflict, while many hospitals and clinics lie in ruins. In addition, around half of children have not been vaccinated against serious preventable diseases, increasing the risk of outbreaks of potentially deadly infections. Life expectancy for Syrians fell from 70 before the outbreak of unrest to 55 in 2015. One organisation that is working to ease suffering and save lives in Syria is Human Appeal UK. The Greater Manchester-based aid and development charity, which was previously known as Human Appeal International, is running a number of projects across the country, including an initiative that focuses on providing training to medics. The course is designed to address the problem of doctors having to provide treatments that fall outside of their areas of expertise. Lasting for five days, it enables the Human Appeal team to transfer crucial skills to doctors, including the latest techniques in trauma surgery and resuscitation. It also gives participants access to 40 hours of free training material via Whatsapp and a half-day training session that is accredited by The Royal College of Anaesthetists. As well as training medics, Human Appeal has provided medical aid to two hospitals in Homs, delivered ambulances to a number of conflict areas and equipped a specialist care hospital in Bab al-Hawwa with supplies including intensive care and advanced diagnostic equipment. It has also distributed thousands of hygiene kits to women and supported a polio vaccination drive. In addition, it is helping to run the Al-Iman hospital in Kah, Idlib. If you want to do your bit to help the charity continue its life-saving work, you can make one-off or regular donations to it. You can also get involved in Human Appeal events to raise money. To find out more about upcoming fundraising events, or to get further information about the charity’s projects in Syria, visit its website.